Summer Writing Series continues with a look at Science Fiction. 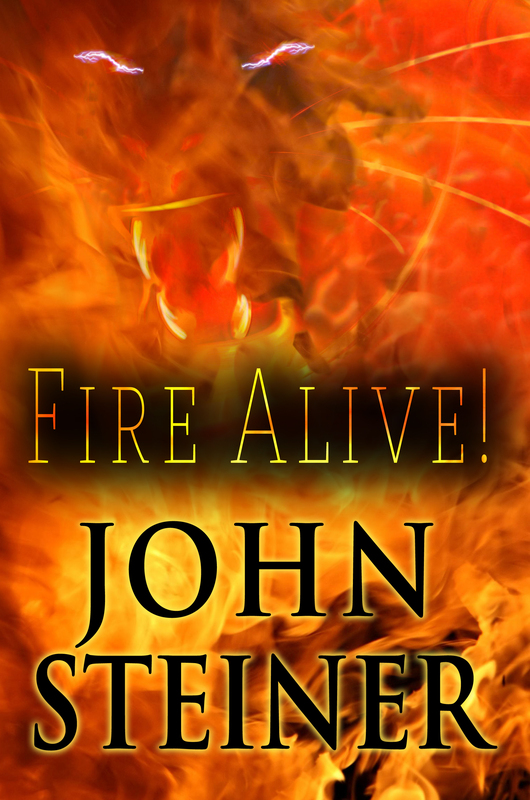 John Steiner is an author at Melange Books. He will share his views on how he built the world for his Flipspace series. Science fiction with spaceflight was how I started my journey as a writer, and it’s always been my first love. It took novels about vampires to break out into the published world, but my end goal was to reach for the stars. Flipspace represents that dream. The core of my writing was in the format of full length novels, often as unconnected stories within the same universe. 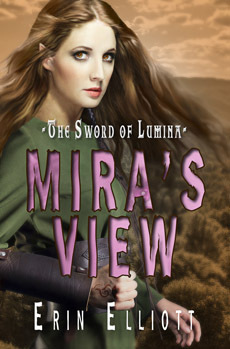 Yet, for Flipspace I had a chance to develop a new approach to building an audience based on current trends in fiction. 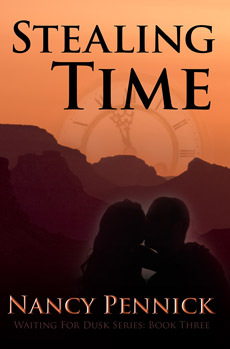 Frequently, I heard people say they’d love to read my work if they had the time. Even when blazed through, novels take hours to read. An enraptured reader won’t put a book down, but an uncommitted reader may fail to pick up where they left off. But most people have time for TV shows streamed on demand. However, to build a series of short stories required consistency and that in turn demanded timing that audiences came to rely on in television episodes. 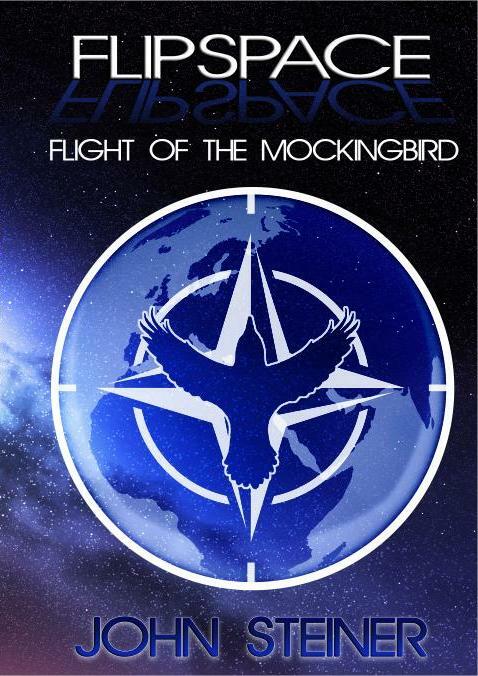 The first Flipspace story, Flight of the Mockingbird became the mold by which all other Flipspace missions would follow. Each story had seven chapters, and no one chapter went over four full-length pages in my word processor. Story introduction had to be confined to the first chapter. Climatic action floated between chapters five or six, though it wasn’t unusual for that to bleed over into the last chapter, particularly when suspense or horror was the climax. In writing Flipspace I refined the economy of language and the timing of revealing character backgrounds. I knew that I couldn’t give in-depth histories of even a couple main characters in Flight of the Mockingbird, but there was so much about each crew member I wanted readers to discover. What is the reason Colonel Sumitra Ramachandra employs the unique command style she does? Why does her second-in-command, Major Lamarr Fitch switch unpredictably between prankster and serious? And just why in the hell does the flight surgeon, Captain Malcolm O’Connell have such an old man attitude? Among the real joys of character-building in Flipspace were the many evolving relationships among the crew. Each character is propelled along a unique trajectory, and yet they still somehow managed to grow closer as a cohesive unit. There are differences of opinion, sometimes heated exchanges, and lingering resentments, but as is common in military units, they all pull in the same direction to get the job done. With two characters, I drew on some of my older works. Todd Nathanial Ash, the ship’s genetic expert and notorious genetics hacker came from another short story called “Small Time” in my anthology, Tampered Tales. A character who I realized early on risked stealing the show was Captain Malcolm O’Connell, and his backstory is my firefighter science fiction novel, Fire Alive! which takes place some one hundred fifty years before Flipspace. Tampered Tales contains another short story that I used as backdrop for one of the Flipspace installments, but which one and why would spoil the surprise. However, the rest of the world-building readers need for Flipspace takes place within the series itself, and sufficient hints for Malcolm and Todd won’t leave an audience scratching their heads for understanding each character’s persona or motivations. There are two other key factors behind the expanding universe of Flipspace that are promises I made to myself when evolving the series. First, that all the science would be as accurate as I could make it. Even the spatial rotation for crossing between stars drew on real principles of cosmology and the forces we know act on our universe today. Also, I took in account the historical trajectory of human civilization and the advances in societies the world over and those soon to populate outer regions of our solar system. The social dynamics and what issues bring concern to the denizens of the future help shape the view readers have of the world that the crew of the ISS Mockingbird swore to defend. The second promise I committed myself to would be no time travel. 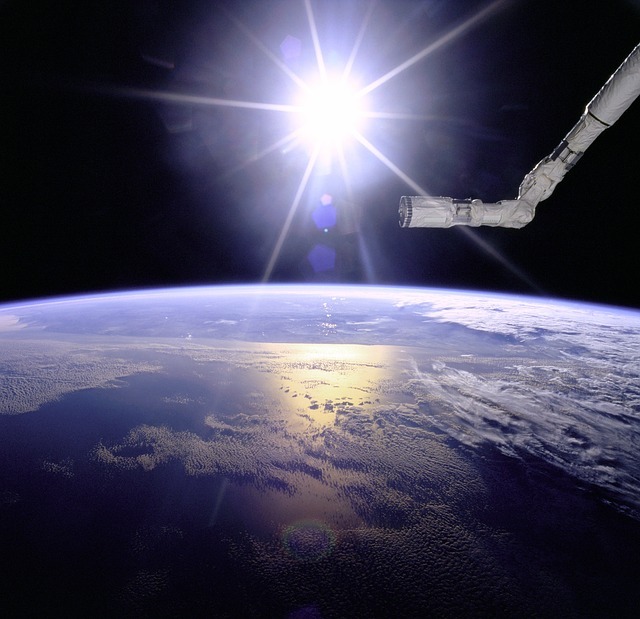 Often, I would look forward to a show or written story about spaceflight only to lose the thrill of exploration and discovery because of travelers from the future or a crisscrossing of timelines. I’ve come to recognize when time travel had become a sorry plot patch leaving the story ragged and mismatched. Star Trek: Enterprise is one such show that I was initially excited about until, that is, a character I came to call “Captain Buzzkill from the 26th Century” slipped into the era of the first starship voyage to spoil the tale and spill the beans about what the crew would find before they got there. Critically, I needed a solid reason to avoid time travel, which I found in Max Planck’s scientific definition. So armed, I pushed the Flipspace saga into a blind future with the excitement of never knowing what awaited the crew at the end point of each spatial rotation. I structured these missions into a compact format that renders the science accessible to readers, while offering action, character and story that one could enjoy without doing a Google search. So for two dollars and an hour’s flight time you can hitch a ride of adventure on the ISS-454 Mockingbird and be “Feet Down” by the time world calls you back. John Steiner earned his Associates of Biology at Salt Lake Community College, where he is currently working as a tutor in math, biology, physics and chemistry. He exercises an avid interest in history, science, philosophy, mythology, martial arts as well as military tactics and technology. Okay, Pat had me at she’s a lifelong teacher. We are two peas in a pod. Teachers are exposed to so many books we have to pick up some pointers along the way. 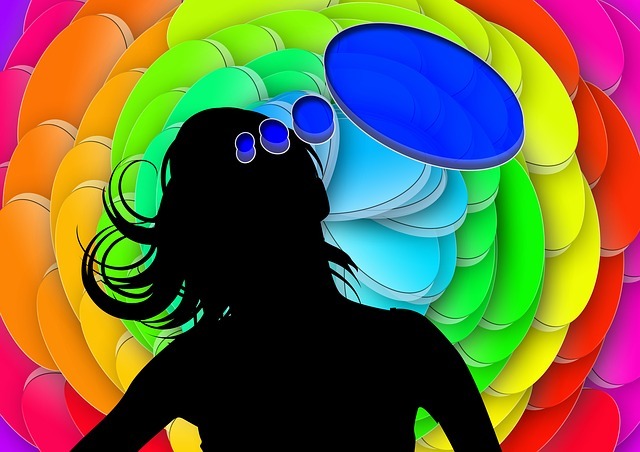 Read another young adult author’s view on what type of stories she writes and why. Today my guest is Pat Gilkerson, author of The Horse Rescuer Series. I love her main character’s name, Piper Jones. Sometimes people ask me how I decide what to write about. The short answer is that I write about things I’m interested in or passionate about. The long answers are much more detailed. As a lifelong teacher, I’ve had a love/hate relationship with the books that are out there for kids. On one hand, there are some that are so good, it’s intimidating. Who would dare compete with them for readership? On the other hand, some are so bad and so obviously created to sell a cartoon character that I always thought, “I could do better than this any day!” When my urge to write got strong enough, children’s books were the natural outlet for my creativity. Why did I write horse stories? I’ve always loved animals, but growing up in Kentucky solidified my love of horses at an early age. I read every horse book I could find in my small town library. My father completely frustrated me by not seeing the need for me to have a horse of my own. I selected my college (first two years) by the fact that I could take riding lessons there. I think my father always believed I married my husband Jim because he was a veterinarian and would get me a horse. Well, he did. I got my first horse after I had both of my children and have had horses ever since. Currently I care for three horses, although I don’t ride anymore. My daughter lives nearby and comes out to ride whenever her job and family allow. 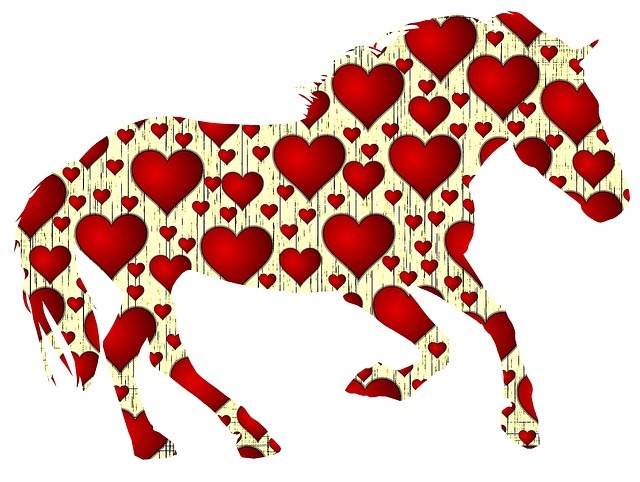 When I began writing my first children’s book, it was a YA story about a girl who desperately wanted a horse. Every child wants a pony, just like every child wants a puppy. And, like puppies, the reality of taking care of a horse or pony is much more involved than any kid dreams. I thought it would be good to give children an idea of exactly what is involved in taking on the responsibility of a horse. In my Horse Rescuers series, Piper Jones rescues a pony, which then needs feeding, watering, exercising, veterinary care, shelter and acres of land. She and her best friend, Addie, have to tend the pony daily. It helps that her father is a veterinarian, so he is frequently on hand to diagnose health problems that crop up. 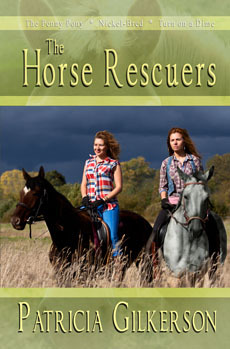 As of this writing, the Horse Rescuers have saved three horses, with three more books to go in the series. We have The Penny Pony, Nickel-Bred, and Turn on a Dime. Following will be titles involving a quarter, half-dollar and dollar. Why am I currently writing a YA fantasy book? A huge influence on me was a book I read in 5th grade called The Unicorn with Silver Shoes. It captured my imagination long before unicorns were a common theme for little girls. The book was set in Ireland, had pookas, leprechauns, and many other kinds of faerie creatures, and I always remembered it. In fact, I found it online about five years ago and was thrilled to be able to purchase a copy. That book began a lifelong fascination with fairy lore. As an adult, I became interested in Irish music, history and how it related to my family. So when I began a story about a boy who meets a green man and is taken into the Land of Faerie, it was natural that I would include a lot of Irish references, Irish music and Irish mythical creatures. Writers know that interesting coincidences sometimes happen as you work on a book. I finished writing the fantasy while on a trip to Ireland with my husband. Waiting in the Dublin airport for our plane, I noticed a restaurant named the Oak Cafe . A sign explained that in Celtic lore, oak trees were doors to the Other World, in the same way that airports are portals to other worlds. A light went on, and I changed my story to reflect oaks being doorways to Faerie. The Great Forest of Shee will be released in the spring of 2015. When I’m done writing the three more Horse Rescuers adventures, I have some ideas. Having taught preschool for many years and loving Irish pubs–why not a main character who teaches preschool and works in a pub at night? I have the character ready to go, but need a plot line. A mystery/romance mash-up? Possibly. I like both genres. Then again, I love scuba diving and the island of Cozumel, so something could happen with that. I’m also really intrigued lately by magical realism, so who knows? There are lots of possibilities out there and it’s exciting to think about where I could go next! Summer Writing Series continues! I am excited at the response I’ve had from my author friends and can’t wait to share them with you. There are so many eclectic ideas and writers. I want to introduce you to another YA author from Fire and Ice—Erin Elliot. Erin is a girl after my own heart. 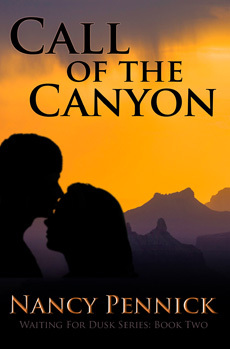 She had me at…the idea for her book started in her head. I can identify with that and how a story unfolds in the mind. There are many ways to write a story and that is just one of them. Read on to find out about how another young adult author, Erin Elliot, writes her novels. Until the last year, I didn’t have an answer for this. Sure, I had always wanted to be a writer and until I actually started the process, I thought it was something that was easily accomplished, but I found out just how wrong I was. It all starts with an idea. For me, I work out that idea in my head. I decide what I want to name my main characters, what I want the title to be, and how ultimately, I would like the book to end. Then the fun part, or the most nerve-wracking part for me, begins. Some people have trouble motivating their self to write on a daily basis until their story is done. Me, I have trouble making myself take breaks, especially when my characters are screaming at me, begging me to write their stories down. This is the part that weighs the most heavily on my mind and I literally feel like my brain is trying to implode. You know that feeling when you’re taking a test, that’s what it feels like for me only ten times worse. It’s both a horrible and wonderful feeling, which consumes my life until I get the story all down. Then comes the various stages of editing. For me, this part isn’t quite as tedious, but it is time consuming. In my case, I revise my story, have my oldest son look at it and give me his opinion, and then I revise it again. I also have beta readers look at it and give me input on what needs to be changed and what is working really well. Basically, I’m cleaning it up to show off to the huge world of publishing. Getting into the publishing companies or literary agencies is a whole other story and one that takes a great deal of time. My best advice to this point is believe in yourself, believe in your story, and don’t give up. Once, my book has been contracted, I begin working on the next story idea until my book is ready to go through the final editing process. I learned through my first round of edits, that this can be very personal and sometimes very painful. It’s not easy to let someone else read your work and at the same time, tear it apart in order to make it the very best that it can be. It’s a necessary evil and it helps to keep an open mind as well as a good working relationship with your editor and proofer. They mean well and they want your story to sell, too. When I first stepped foot into the world of writing I, like so many people, thought it would be a simple process, without hardly any work involved. Since becoming engrossed in this world, I have learned quite the opposite holds true. Writing books is a difficult and extraordinarily personal event. You put your heart and soul into a book for the world to read. It is time consuming as well as thought consuming. Is it something that I love? Yes, writing books has become a passion and I encourage everyone who has the courage to write, to do so. The rewards far outweigh the amount of work that goes into it. Since I began to write, I made many author friends. I didn’t expect that to happen. Writers are a solitary bunch, but when it comes to supporting each other that’s a different matter. I also have a support system through my publishing family. So when I asked for some posts about writing, I got a great response. For the next few months, I am going to run a Summer Writing Series. I asked for tips, writing process, getting published or anything about writing that could be passed along to my readers from my author friends. Since I write for Fire And Ice, the young adult imprint of Melange books, I am going to introduce you to some its authors first. 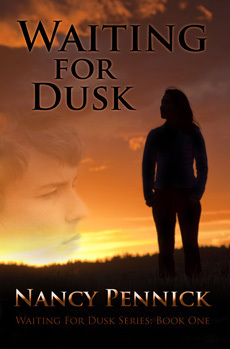 Paul Ferrante has written a young adult series of T.J. Jackson mysteries. The latest being Roberto’s Return. 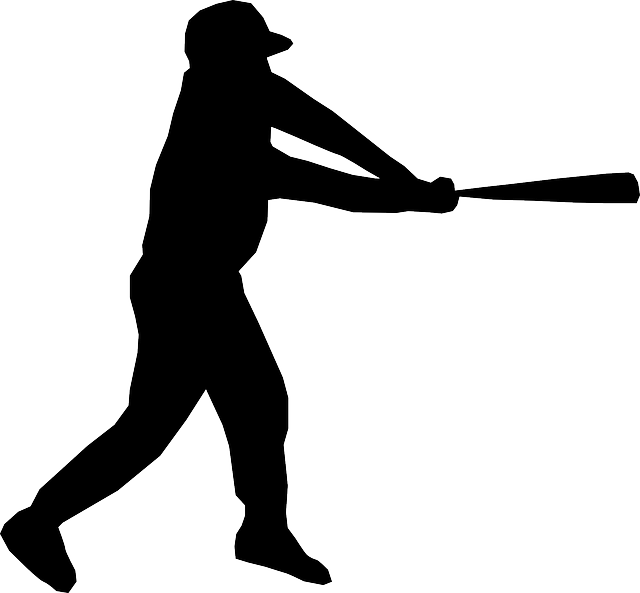 Read on to find out how he got his book into Cooperstown Hall of Fame bookstore. I decided to use Cooperstown, New York and the National Baseball Hall Of Fame as the setting for the third installment of the T.J. Jackson Mysteries series, simply because I am very familiar with the town and its environs from visiting it at least once a year to do research for the historical baseball articles I write forSports Collectors Digest. This time I would be featuring the ghost of a person who actually did exist (Roberto Clemente) instead of a fictional ghost. Clemente is a compelling subject, given the greatness of his baseball career and his role as a trailblazing Latino ballplayer in the 1960s. Of course, his mysterious death in a plane crash on December 31, 1972 while on a humanitarian mission of mercy to earthquake-ravaged Nicaragua also played a role. When the book was nearly finished, I took a trip up to Cooperstown in the fall of 2013 to do some final fact checking on Clemente in the A. Bartlett Giamatti Research Center at the Hall. I figured that as long as I was there I would try to meet with the head of purchasing for the Hall of Fame’s gift shop and bookstore, Mr. Drew Taylor. At that time I shared with him promotional items from the first two T.J. Jackson books, as well as critical reviews such as the one done by Sue Gesing. Mr. Taylor was intrigued, and when I pitched the plot of Roberto’s Return to him, he agreed to review the PDF to determine whether it was suitable for sale in the Hall’s bookstore. Meanwhile, I contacted the mayor of Cooperstown, Jeff Katz, to obtain permission to use the likeness of Doubleday Field, which is a municipal building, for the cover of the book. Luckily, Mayor Katz is a baseball aficionado, and readily agreed. 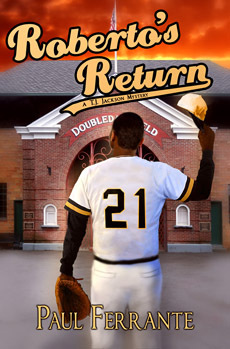 Well, at the beginning of April 2014 I received word that Roberto’s Return was accepted for sale in the bookstore, a great honor for a baseball writer like myself. It was then my publicity team, namely my wife and agent, Maria Simoes, decided we should maximize this opportunity. First, we contacted Mr. Taylor and told him I would personally deliver the first shipment of books to the Hall on Friday, May 2. Then Maria contacted Mayor Katz to tell him that I would be bringing an autographed copy of the book to him as a thank you for his assistance on the cover. She inquired as to whether the local media would want to cover the event. The mayor gave us the name of a reporter for the Cooperstown Crier, whom we alerted as to my visit. He agreed to meet me and Mayor Katz at the Hall Friday morning for a photo op (which resulted in a fine article in the Crier). From there, Mayor Katz escorted me across the street to the Cooperstown public library where I donated another copy of the book and had my photo taken with the head librarian. But we weren’t done yet. Maria had also contacted the president of the Cooperstown Chamber of Commerce, Pat Szarpa, whom we met in the hopes that I would be making another visit to town during this summer’s 75th Anniversary of the opening of the Hall of Fame. Finally we had a meeting with Stephanie Hazzard, who arranges author appearances as part of the Hall of Fame’s Summer Author Series. I was happy to tell her about the historical aspect of all the T.J. Jackson books and that Roberto’s Return would give young adult readers a wonderful history lesson on the Hall of Fame, Cooperstown and its local legends, and of course, the great Roberto Clemente. Two weeks later I received word from the Hall of Fame that I had been chosen to speak in the Bullpen Theater at the Hall of Fame on August 7 to discuss Roberto’s Return. This is the ultimate thrill for me, but it also illustrates that in the competitive literary market, especially when one is writing for a small publisher, any and all possible marketing opportunities should be seized. Many phone calls and emails were made in this process, but the results have been more than worth the effort.